Where in the world is this you ask? 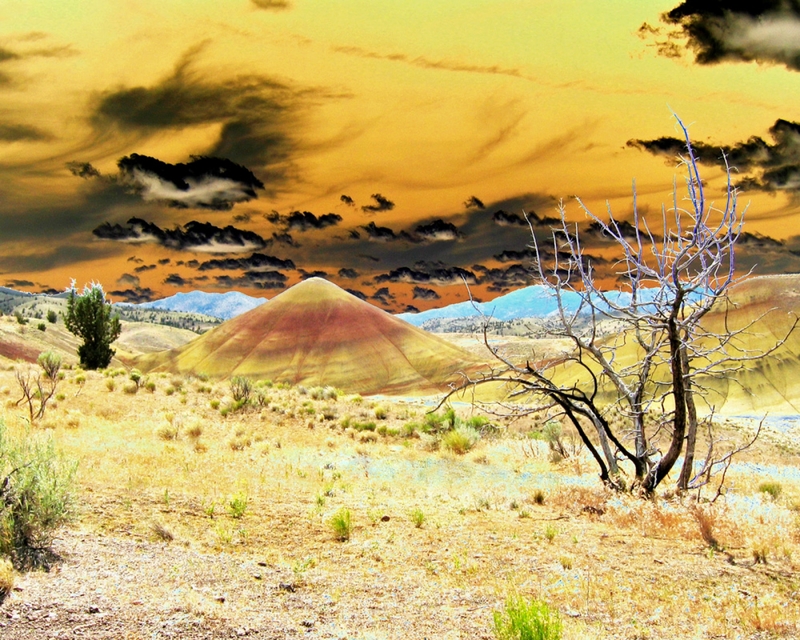 Why it's the Painted Hills in Central Oregon which is part of the John Day Fossil Beds National Monument. I colored the sky and the blue ice but the hills actually are layers of red, yellow and gray.